Nighttime belongs to mystery and intrigue—evil, too. I could say it belongs to love, but I write mysteries and thrillers, not romance novels. For me, I do my best thinking around midnight. I also do my best panicking and second-guessing. Don’t we all? It’s not unusual for me to be lying there (or sitting at my computer writing), plotting out a scene or another book and wham—God, in the 7th Grade, I insulted that sweet redhead, Becky. What was I thinking! Then back to my murder plot and … crap! I’ll never retire, I’ll have to work until I die and … now, where did I leave that last body in Chapter 12… dammit, why isn’t Pluto a real planet anymore? As the hours tick by, so does my split personality between story plots and lifelong regrets. Raise your hand if you are with me on this–and don’t lie. 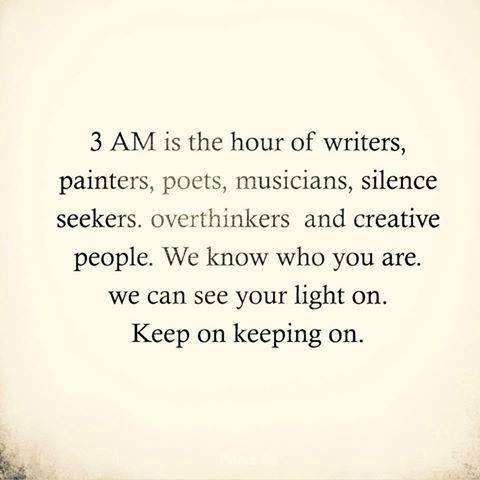 But something else happens after midnight, too—creativity. 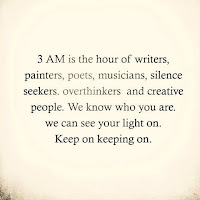 An unknown author once said, “3 AM is the hour of writers, painters, poets, musicians, silence seekers, overthinkers, and creative people…” I am clearly in the writers and overthinker columns. Of course, perhaps the best quote to describe me was by the hiphop group, the Initials, who wrote, “The Night Belongs to The Poet and The Madman.” Hmmmm, I’m no poet so … yup, madman. Nailed it. Most of my novels were all given birth after midnight. New Sins for Old Scores was no exception. 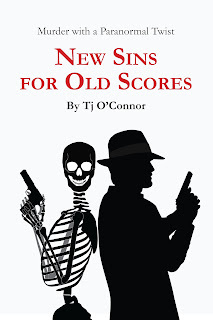 I was lying awake one night a few years ago when I began writing New Sins for Old Scores, my latest paranormal mystery coming out in a couple months from Black Opal Books. A line came to me that sort of sums up the opening of the story and my permanent state of insomnia and creativity—of the lead character, Richard Jax, I wrote, “… history taught him a very important lesson—an axiom of parents with teenagers—that nothing good ever happens after midnight. Jax wasn’t married and had no children. But it was after midnight and he was alone.” Then, bam! A body—his body—blood, bullets, and bang-bang. The story unfolds. The story follows the traditional mystery path to “the End” with a murder, finger-pointing, a few more bodies, deep dark secrets, twists and turns, the spirit of a long-dead OSS operative, and the capture of the bad guys. Well, perhaps the spirit of a long-dead OSS operative isn’t the traditional mystery path, but it can be with me. At least for this book it was. Most of this story was written between the hours of 9 pm and 4 am. In fact, most of my nine novels were written during those hours. And yes, alas, most of my life-long regrets and mistakes haunt me then, too. Somehow, before the sun comes up each day, I catch 3-4 hours of sleep. That’s when I dream about my stories. Do you think I’m obsessed? The moral to all this is know thy self—learn about your strengths and weaknesses and what works best for you. Don’t read blogs and go to seminars and panels and try to mimic what other authors do and say. There is no secret code to success (lord don’t I know)! Don’t fall into the trap of trying to fit yourself into a mold. Trust me, you’ll get stuck and have to fight your way out—or worse, you’ll be captive to seeking that infamous secret formula. No. I believe in using your love of the pen to learn about yourself—learn when the demons come out and when the voices in your head begin to make sense. Even if that’s after midnight. Oh, and forget the tossing and turning about those bills and long lost friends and what-ifs. Those voices are just your ex-spouse or the IRS trying to make you crazy! Listen for the little whisper that starts after the lights go out and tells your characters what to do and say and where the story is going. And for God’s sake, pay attention! We’ll talk again next month. Tj O’CONNOR IS THE GOLD MEDAL WINNER OF THE 2015 INDEPENDENT PUBLISHERS BOOK AWARDS (IPPY) FOR MYSTERIES. He is the author of New Sins for Old Scores, coming in Spring 2017 from Black Opal Books, and Dying to Know, Dying for the Past, and Dying to Tell. 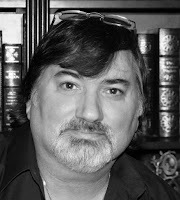 He recently finished his new thriller, The Consultant: Double Effect,and his amazing agent, Kimberley Cameron, is finding it a home. Tj is an international security consultant specializing in anti-terrorism, investigations, and threat analysis—life experiences that drive his novels. With his former life as a government agent and years as a consultant, he has lived and worked around the world in places like Greece, Turkey, Italy, Germany, the United Kingdom, and throughout the Americas—among others. He was raised in New York’s Hudson Valley and lives with his wife and Lab companions in Virginia where they raised five children. Dying to Know is also the 2015 Bronze Medal winner of the Reader’s Favorite Book Review Awards, a finalist for the Silver Falchion Best Books of 2014, and a finalist for the Foreword Review’s 2014 INDIEFAB Book of the Year Award.